The FloValley News reports that the Florissant City Council has adopted a Complete Streets Policy. 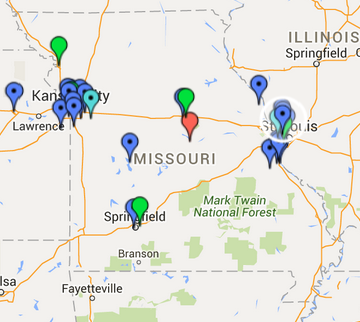 Florissant's policy becomes the 28th Complete Streets Policy in Missouri. 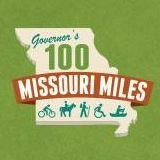 Over 2.7 million Missourians--nearly half the population of the state--lives in a city or county with a Complete Streets policy. Complete Streets policies ensure that communities are designing, building, and maintaining streets that meet the needs of all people who live in the community: Those who walk, bicycle, drive, and use transit; the old and the young; the able and those with disabilities. Find out more about Complete Streets and learn how your community can adopt or implement a Complete Streets policy on the Missouri Complete Streets Page. The Florissant City Council met Monday at city hall. They had a light agenda, with no public hearings scheduled. The did, however, pass some bills and resolutions. The council passed a bill approving the Florissant Complete Streets Policy. City Engineer Tim Barrett spoke to the council about the Complete Street Policy. Barrett stated that the policy states that all streets should be safe for all vehicles, including bicycles and wheelchairs. The city will partner with TrailNet to develop bike and pedestrian master plan for the city. “A Complete Streets ordinance directs the city to routinely look for opportunities to enable safe access for all users,” Barrett said. He added that complete street programs are important when applying for grants. “We want to thank Mayor Thomas Schneider and City Engineer Timothy Barrett for working with AARP, Trailnet and others on this ordinance. We also appreciate the entire council signing on as co-sponsors, signaling their commitment to improve the streets of Florissant for pedestrians, cyclists and motorists,” said Sheila Holm, AARP associate state director. The ordinance comes on the heels of a survey released this month by AARP finding that one of the greatest unmet needs of St. Louis County residents (age 45 and older) is streets and intersections that are well-lit and safe..
Congratulations and thanks to the city council and staff for adopting the policy and to Trailnet and Missouri AARP for working hard to advocacy for it, and for local citizens for supporting it. » Next story: Vision Zero: What is it; how can it eliminate traffic fatalities?